We’ll meet this morning with staff members of the National Historic Memory Center and discuss the Victims Law, which was passed in 2011 to address 20-plus years of paramilitary, guerrilla, and state violence, and to support reconciliation initiatives. After the briefing, we’ll head east to Villa de Leyva, stopping en route at the Salt Cathedral of Zipaquirá, a Roman Catholic church built within the tunnels of a salt mine 650 feet underground near the town of Zipaquirá. This is an important religious center in which visitors descend underground, passing through 14 chapels representing the Christ’s 14 Stations of the Cross. 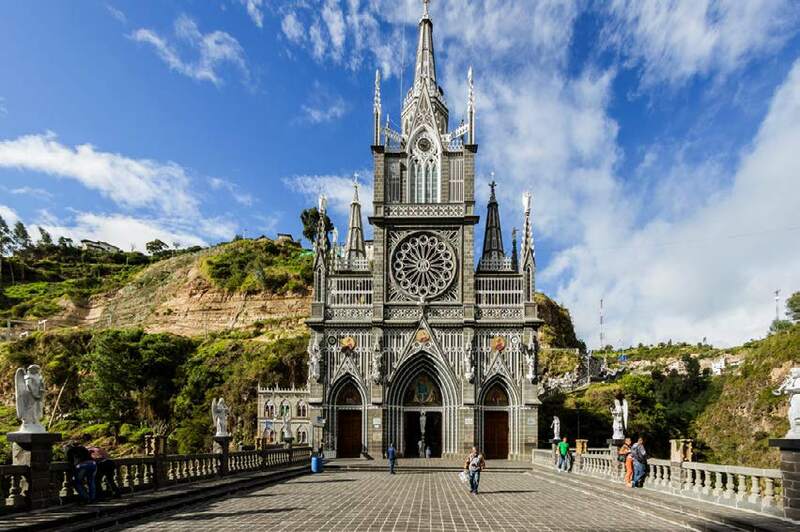 Carved entirely out of salt, it is one of only three similar churches in the world. We’ll have lunch at Zipaquirá’s Brasas del Llano restaurant. Next, we’ll return to Bogotá to explore the Gold Museum, which provides an excellent understanding of the city’s historical artistic soul. The museum features the largest collection of pre-Hispanic goldwork in the world, as well as pottery and other archaeological artifacts of the indigenous population. Myths that recur in so many forms of Colombian art can be found here—shamanic animal-men, jagged geometric patterns, and the origins of magical realism, which can be found in so much of the local art and craftsmanship. We’ll end the day at Casas Riegner, a renowned art gallery that identifies its mission as “the promotion and dissemination of contemporary art within Colombia and abroad.” Our group will meet with director’s assistant Felipe Villada, who will talk about some of the emerging young Colombian artists the gallery represents. Dinner will be at your leisure this evening.